42 degrees south lays a small island known as Tasmania, a sleepy island state belonging to the big island continent Australia. Not many people have heard of Tasmania making it a truly unique holiday destination for the traveler that seeks something a little different without the crowds. Sjoa Rafting guides Franziska Ruetz and Elias Eichler have made this quaint little island their home. 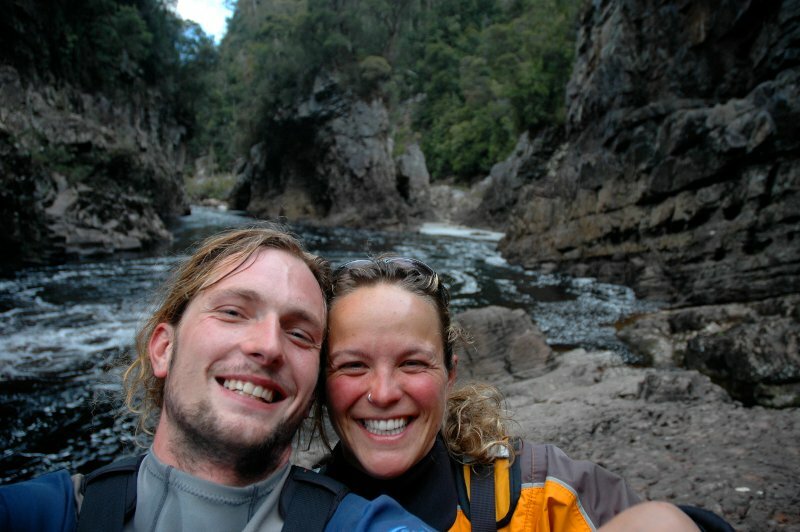 This begs the question since Tasmania is about as far away as you can get from Sjoa why would two river guides choose it as their home. The answer, The Franklin River. Snaking its way through the magnificent Tasmanian World Heritage Area the Franklin River is one of the last truly wild and pristine rivers left on the planet. Coming into The Great Ravine. 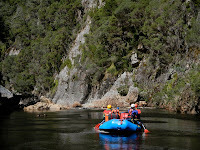 Rafting the Franklin River in Tasmania is the adventure of a life time. Had it not been for this amazing journey i probably would never have become a raft guide. In the summer of 2003 I journeyed down the river with a close group of friends, This trip left such a big impression on me that I decided being a rafting guide is what I wanted to do for a living. Literally still wet behind the ears I started my mission to gain experience as a commercial whitewater rafting guide. It led me to many amazing places like the tropics of Far North Queensland in Australia, The mountainous regions of Nepal, the source of the Nile River in Uganda and the beautiful Sjoa River in Norway. Out of all the beautiful and exciting rivers it is still the Franklin that draws me back home to its tannin stained and mysterious waters. What makes the journey down the Franklin River unlike any other trip is its remote wilderness and the need to be fully self sufficient. The Franklin River is one of the rare places left on this earth where you can travel for 10 days through absolute wilderness. Once you begin the expedition the only way out is down the river or helicopter. All the necessities that are required to survive for the trip are carried on board the rafts, to minimise our impact group sizes are kept to a maximum of 10 people and everything we carry in we also carry out. The environment the river travels through is pristine and pure, the water is clean and can be consumed without treatment. 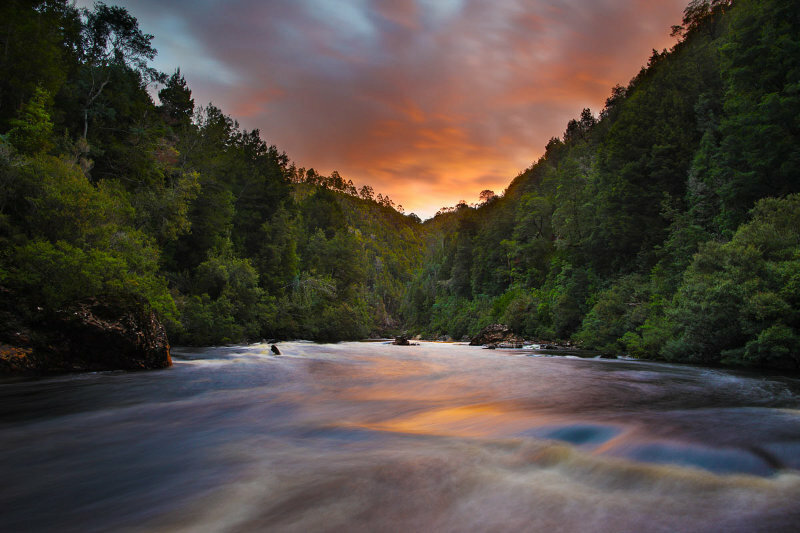 Historically the story of the Franklin River is also very amazing, 30 years ago the river was nearly lost for ever as it was threatened by a massive hydro electric project. The ensuing battle to save the river saw over 1500 people arrested, a change in government leadership from the Liberal Party to the Labour Party and was the beginning of the modern Green movement in Australia. Next year on July 1st 2013 will be 30 years to the day that the Franklin River was saved. 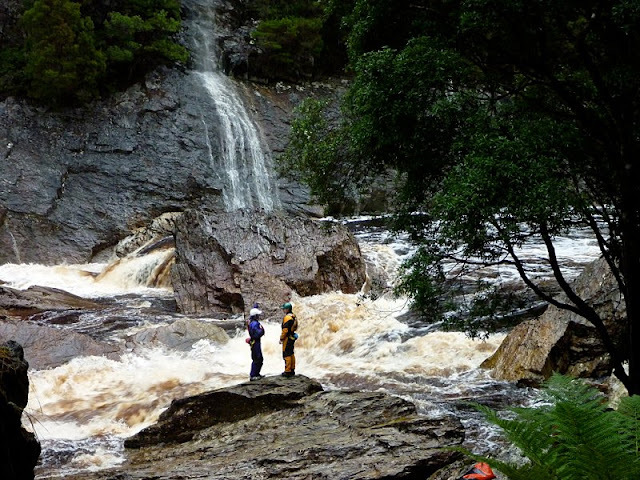 Nowadays it is listed as part of the Unesco World Heritage Area of Tasmania and has recently been voted the no. 1 Whitewater Rafting Trip in the world by U.S magazine Outside. We would like to extend a invitation to any of the Sjoa Rafting guests to join us on one of our expeditions. If you love being outdoors, have a thirst for adventure and happen to be visiting Australia please get in touch.